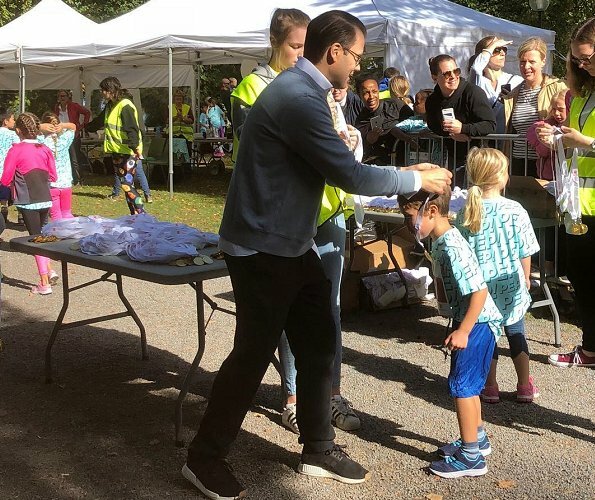 On Sunday, Prince Daniel attended "Prince Daniel's Race Day" at Haga Palace Park in Stockholm. 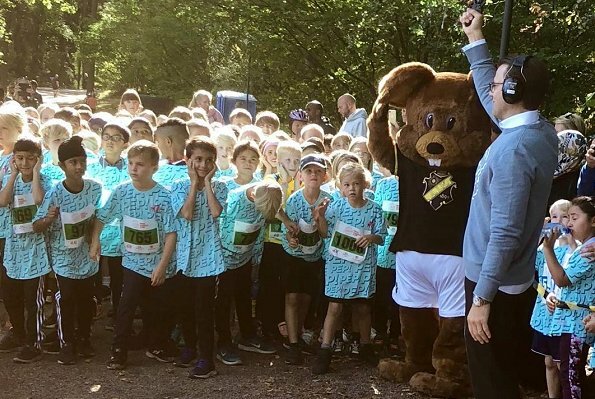 That event (Pep-dagen - Pep Day) is an initiative started by Prince Daniel for children. 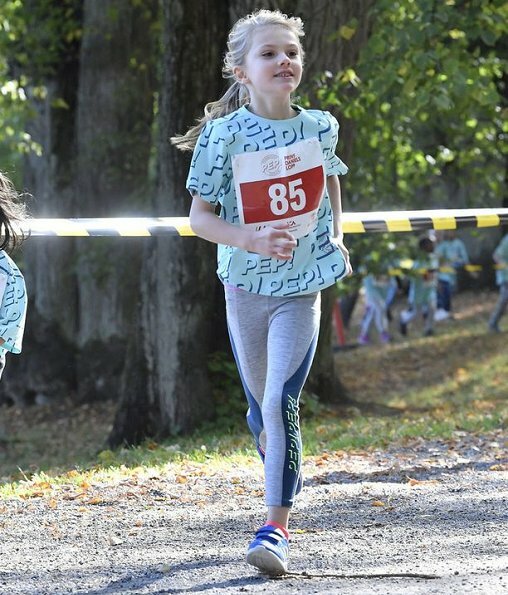 For the first time this year, Princess Estelle participated in the child race. 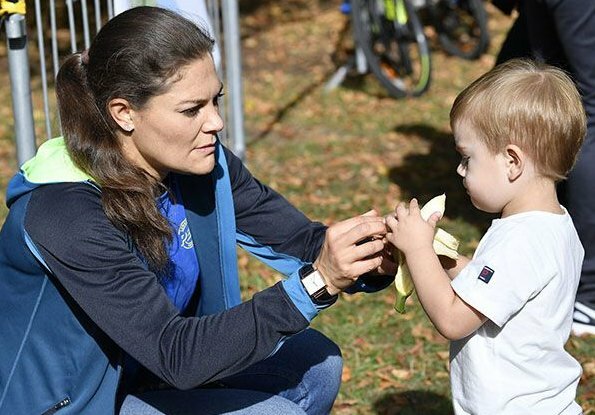 There were also Crown Princess Victoria and Prince Oscar at the event. 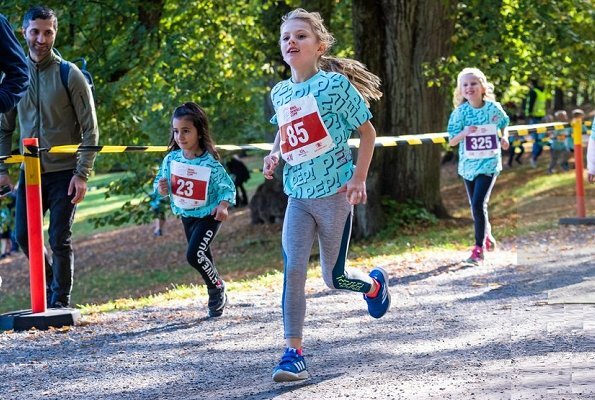 In Prince Daniel's Race Day, children between the ages of six and twelve run. Medals are given to the winners. (Princess Estelle’s all outfit are from Gen Pep’s collaborator, H&M). Such a happy, energetic girl, Estelle. Lovely to see. 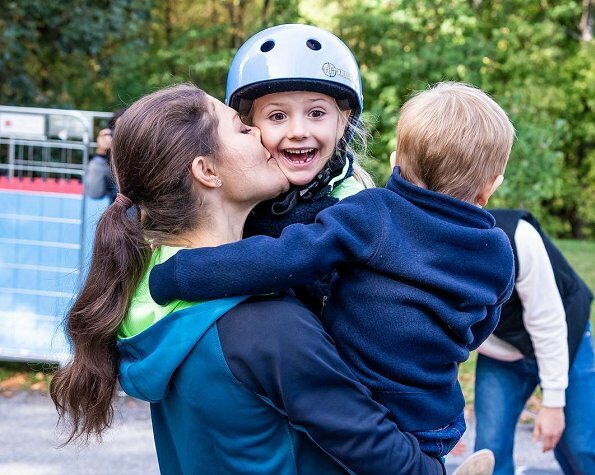 Love the way she gets the opportunity to enjoy ativities just like every other kid. 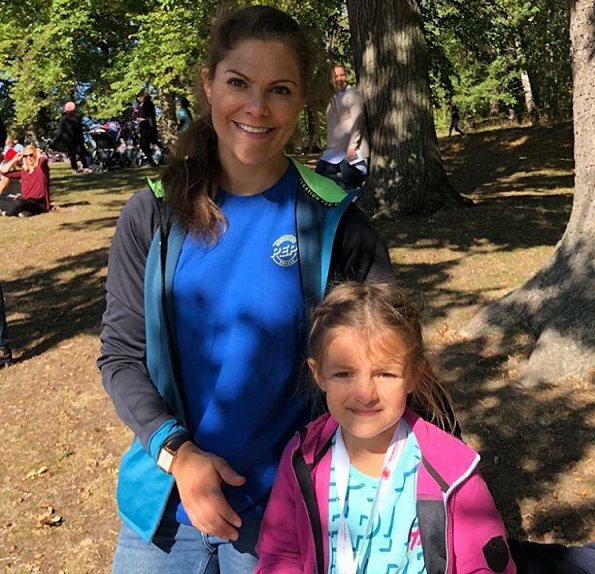 Very nice for the CP'ss Family to join in at the 2018 Race Day. Estelle really had fun this was nice to see. Oscar was more interested in the Banana, no smiles either. These Sport outfits are nice, everyone really looked good.